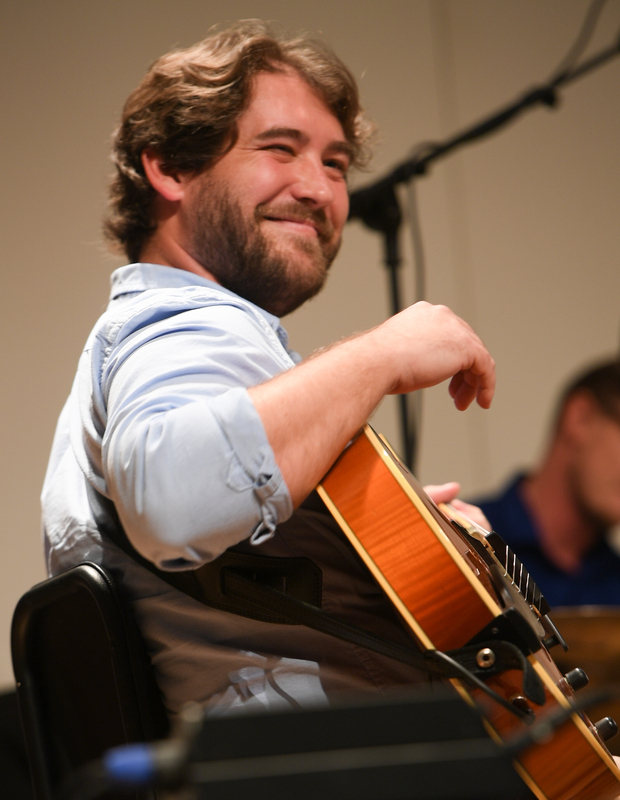 Tim Fischer is a South Carolina-based guitarist, composer, and educator. Growing up in Los Angeles, Tim had the good fortune to study and perform with many of the great musicians that call the city home. The lessons learned during his formative years in Los Angeles are compiled on his debut album as a leader, Due South, an album that features his original compositions and arrangements performed by a mix of friends from both the West Coast and Midwest. Recordings featuring Tim’s work as a sideman demonstrate the versatility of his approach to improvisational music, encompassing straight-ahead archtop tones (Alex Smith Trio), neo-classical acoustic guitar work (Cinematic Guitar Ensemble), and distortion pedal riffing (Michael Mull Octet). He has performed across the United States as well as in Europe. Tim is active in jazz education, having presented his research on the Miles Davis first quintet at Northwestern University, University of Southern California, California Institute of the Arts, Eastern Washington University, Pasadena City College, and the Seattle Jazz Guitar Society. He has worked as an adjudicator for the Lionel Hampton Jazz Festival and instructor of combos and big bands for the Monterey Jazz Festival's Summer Jazz Camp. An experienced computer programmer, Tim has also presented clinics on website development and online marketing for the music and design schools at California Institute of the Arts. Tim is currently an Assistant Professor of music at Coastal Carolina University.